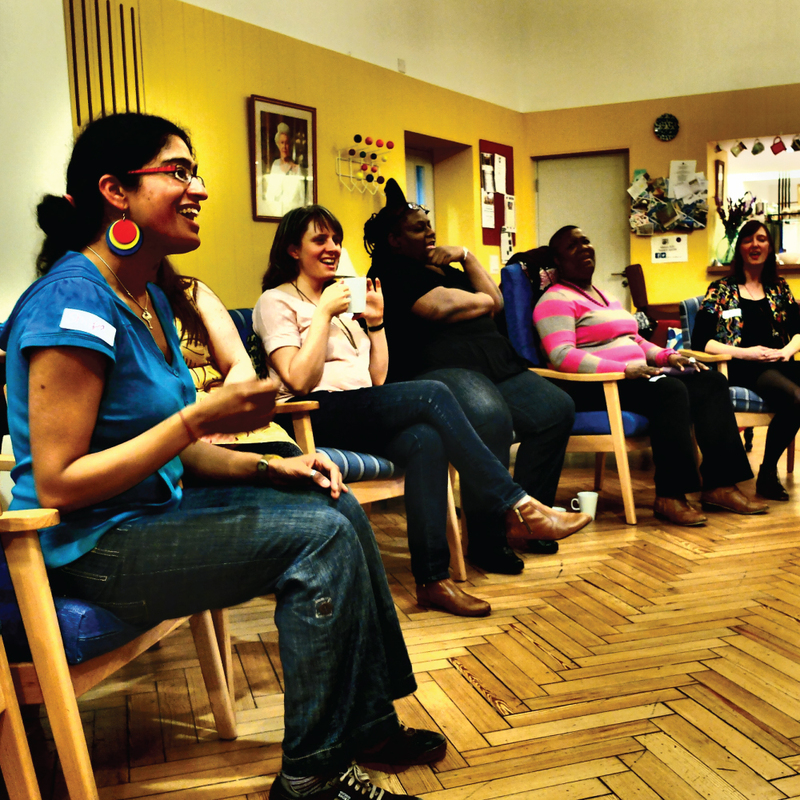 Singing workshops in work, community and family settings. Absolutely no previous experience of singing is required to enjoy them. I charge according to the size of your organisation/group and the length of workshop and travelling time. Please contact me to discuss your requirements. Stress is a huge cause of ill health in the workplace. 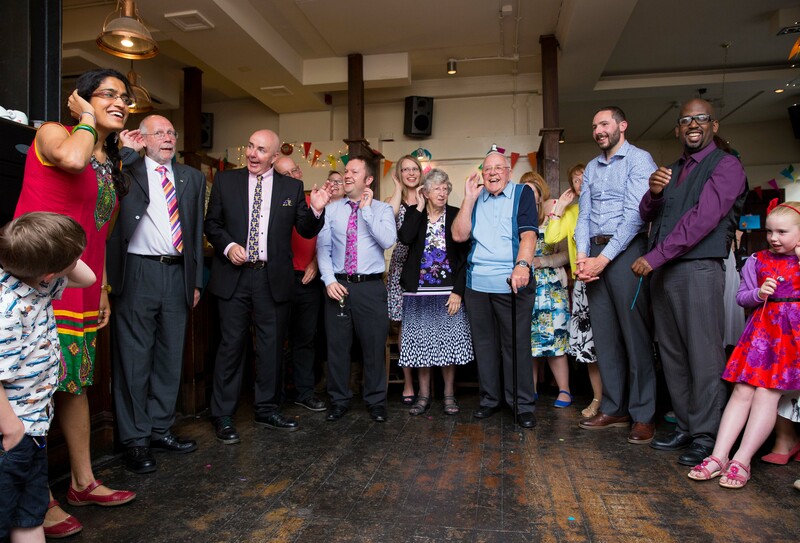 Whilst the root causes of overwork need to be addressed and individual support provided in the first instance, offering regular group activities such as singing can support good health and mental health. The very first singing group I led was a lunchtime office choir. 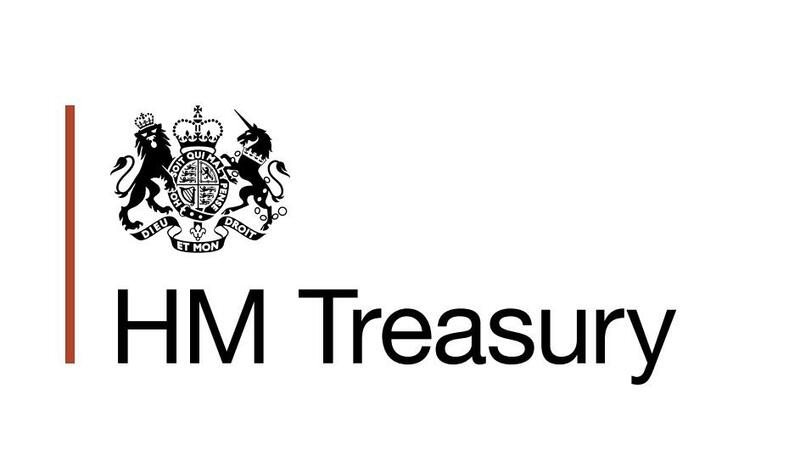 My colleagues and I were going through a difficult redundancy process. Our weekly sing had an uplifting impact which lasted all week. It brought people from different departments and different levels of seniority together, as equals. I do not run traditional formal workplace choirs. My singing workshops are designed specifically to promote health and wellbeing. They can be standalone or part of a series. Each workshop is inclusive to all. I believe singing is a birthright for all of us. No previous singing experience is required. I start with gentle movement, stretching and breathing exercises. Fun warm up games encourage laughter and relaxation. I usually teach simple songs by ear, with harmonies or interlocking parts that encourage listening and teamwork. I draw on a huge variety of songs, from different eras and parts of the world and with varying levels of energy. Conferences can be boring. Lots of talking, presentations and thinking can leave us feeling drained. 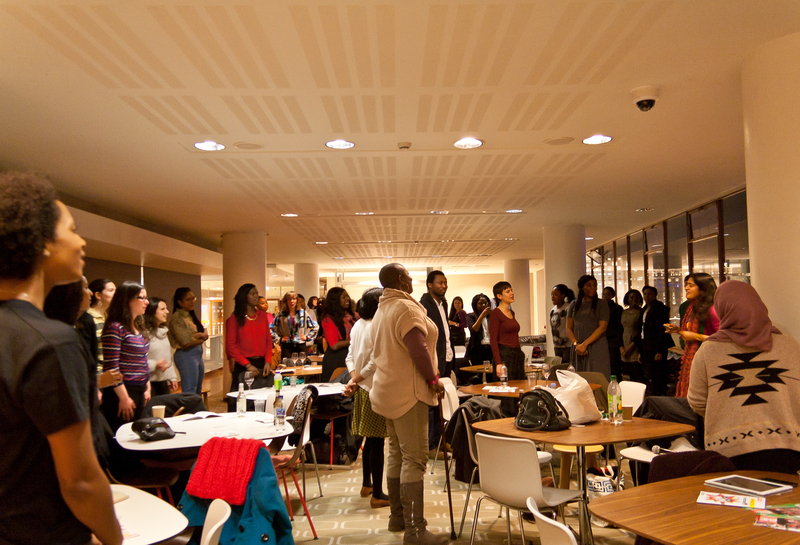 A short singing workshop is an unorthodox yet exciting addition to an event programme. Singing relaxes the body and expresses emotions, so can have an energising impact. No previous singing experience is required – I believe ‘if you can talk, you can sing’. Whether participants know each other or are meeting for the first time, I will help them overcome awkwardness and stretch, relax, and play. I will use a song relevant for your event to create connection and a sense of group achievement. A singing workshop for your event can be as short as 15 minutes, though 45-60 minutes works best. 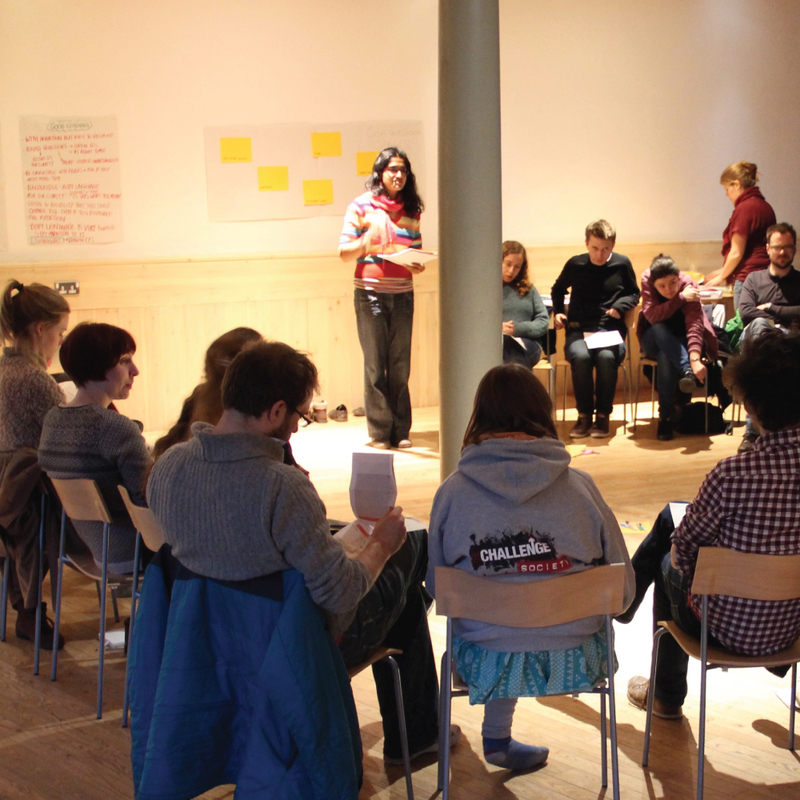 All that is needed is a space for participants to sit, ideally in a circle. It can be a break-out workshop or in plenary. A popular option is to run a break-out workshop, then support the participants to perform in the closing plenary (invariably tempting the whole room to join in!). If you would like to discuss singing at your work or community event, please contact me. Family events can gather our threads of community together and weave a stronger sense of connection. Singing a relevant song together can add magic – and it need only take 15 minutes. I have led songs at weddings/civil partnership ceremonies, naming ceremonies, memorial services, birthday parties, mehndi nights etc, creating an inclusive, memorable moment for groups from 10 to 400 people. If you would like to discuss singing at your family event, please contact me. My Heart Sings supports women who are usually unheard in UK society to build positive relationships with themselves and with each other and strengthen their voices to help create change. 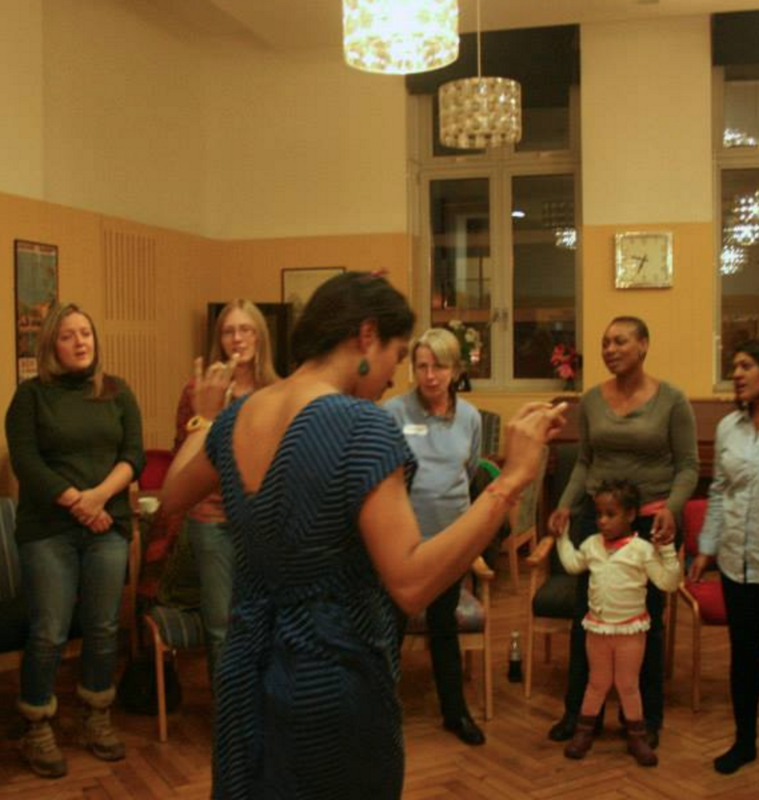 My Heart Sings started as a weekly women’s group in central London. I have since developed work in UK prisons, Yarl’s Wood detention centre and with groups and organisations working with marginalised women across London. Singing together has great healing potential. 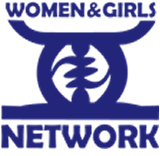 Working with Women and Girls Network deepened my understanding of the impact of trauma on our body and emotional state. I became curious to learn more and develop supportive tools. The My Heart Sings model for workshops aims to help women develop their connection with the present moment, their body and each other with gentleness and openness. I adapt breathing, gentle yoga movement and voice exercises and choose soothing and empowering songs. I also support women to express themselves by sharing songs which are meaningful for them. My Heart Sings now delivers workshops for women’s groups and organisations, to support self-care and empowerment programmes. People can often feel nervous about singing. I start a workshop by sharing my philosophy about singing and voice – singing is our birthright, not something that only people who ‘are good’ can do. I believe everyone’s voice has something to contribute to a circle of voices…. You can read more about the activities of My Heart Sings on the blog here.